Archipelago Development Sdn Bhd owns and manages a complete block of dual-frontage, four-storey shop offices comprising 13 units at Block 28, Jalan 6/3A, Bandar Utara, off KM12, Jalan Ipoh, 68100 Batu Caves, Kuala Lumpur. These shop offices are fully tenanted. The property is in close proximity to the Selayang Flyover Interchange of KL’s Middle Ring Road II (MRR2), which leads to Selayang, Gombak, Setapak, Kepong, Bukit Jalil, and Kuala Lumpur City Centre. 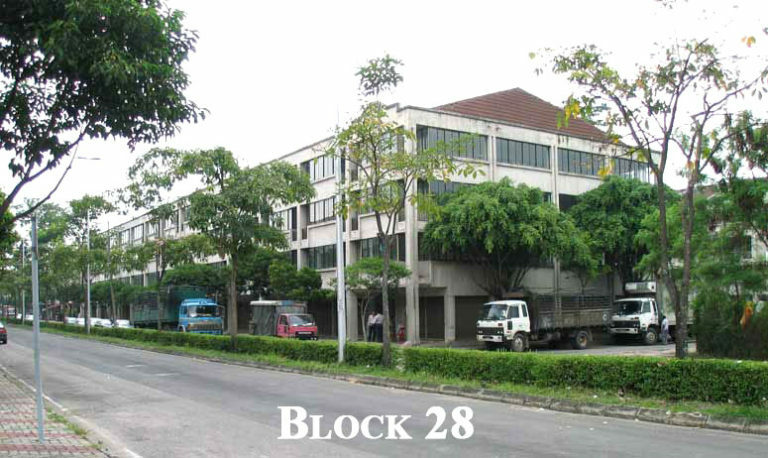 Due to its strategic location, Block 28 is immediately visible to anyone who enters the 24-hour high-traffic Kuala Lumpur Wholesale Market area and the interchange at Jalan Ipoh. The area of Bandar Utara offers a huge and growing market to prospective tenants thanks to the ever-growing population in Northern Kuala Lumpur. The units are tenanted out as a whole unit instead of on a floor-by-floor basis. The exception to this is unit No. 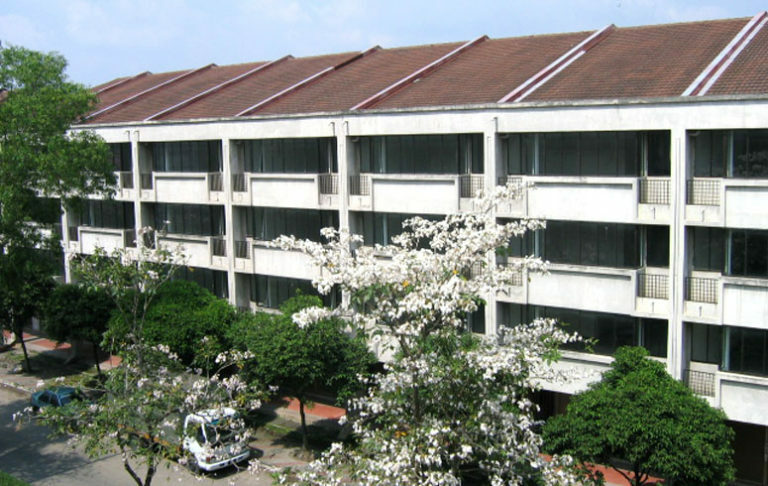 98, in which the ground floor is rented at a premium monthly rental rate, since Archipelago’s site office occupies the remainder of the floors at that unit. Archipelago also owns parcels of land that will be developed in the future which are available for rental. It’s the perfect location that provides access to the affluent and growing population of Greater Kuala Lumpur’s northern suburbs. Contact us today to arrange a viewing session and a tour of the four-story dual frontage shop office premises. 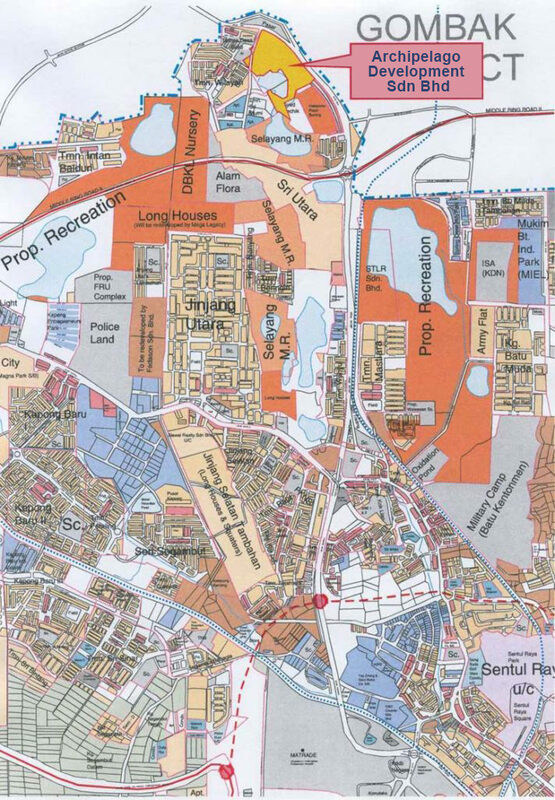 Lot 45634 covers approximately four acres along the high-traffic thoroughfare, Jalan Ipoh. Lot 45635 on the other hand, has excellent potential with its serene, lakefront view. Lot 45634 above measures four (4) acres thereabouts and sits along the perennially busy Jalan Ipoh. Lot 45635 above measures under an acre and fronts a lake. 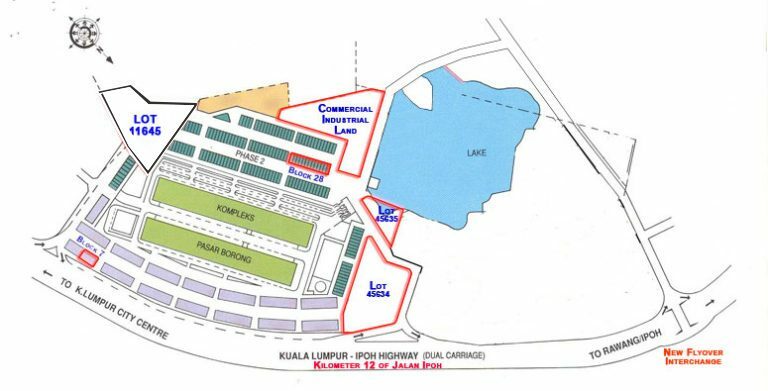 Archipelago also owns commercial industrial land that spans just under six acres along the new four-lane carriage way that connects Jalan Ipoh to the Kuala Lumpur Wholesale Market Area. The land, with its extensive space, and proximity close to the city is an excellent location for businesses that require plenty of ground-level space, such as vehicle storage depots, storage yards, a sports activity centre, driving schools, etc. Currently, this six-acre lot is still available for short term rent. Refer to the layout plan below for a better idea of the location and shape of the land.